Oz Lottery is one of the top lottery games that are available in the down under, Australia which is known for Kangaroos and the world re-known celebrations held in Sydney, Australia. Introduced in 1994 this premiere lottery has been a favorite amongst Australian citizens and has paid out billions of prizes to winners throughout the years. Oz Lotto is a national lottery game, administered by Tattersall’s and played on Tuesday nights. It was introduced on 26 February 1994 and promoted as the first fully national lotto game, at a time when New South Wales was not a part of Saturday Lotto. Each game costs $1.10 plus agent’s commission. Originally, the game was the same as Saturday Lotto, requiring six numbers to be picked out of 45. 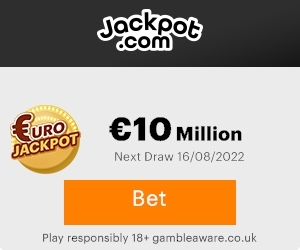 However, starting 18 October 2005, a seventh number began to be drawn, greatly lengthening the odds of winning Division 1 (close, but not longer, than that of Powerball). In line with this change, branding for Oz Lotto changed in many states, to emphasise the seventh ball (including new names, such as Super 7’s Oz Lotto in Tatts regions, and Oz 7 Lotto in Queensland. However as of 2012, the game has reverted to the branding of Oz Lotto in these regions). Oz Lotto guarantees a minimum division one prize pool of $2 million. Simply choose 7 numbers between 1 and 45. If the numbers are drawn, you win. It’s as simple as that. A game of contradictions, Oz Lotto manages to have both the best and worst odds of winning in any given game. The best in that you have more chance of winning one of the divisional prizes than in the other Lotto games while at the same time, the odds are long enough to produce some of the biggest prizes in Australian lotto history.